In 2012, I began attending Holy Trinity Anglican Church in Thornhill, Ontario. After learning I was a historian, some church members invited me to join the cemetery board. During my first visit to the church’s historic cemetery, I was intrigued by five concrete crosses marking the graves of eight men, dating from 1928 to 1931. In a poor state of repair, and inscribed only with the names and death dates of the men, they looked nothing like the more elaborate marker that surrounded them, both historic and modern. At the time, I had no idea that over the next year, these crosses would lead me to an investigative journey of the history of early twentieth-century welfare institutions, social policy, homelessness, and unemployment. It was a project that demonstrated the hidden stories and social histories that may be represented through small, seemingly inconsequential artefacts. This article documents my search for answers about these mysterious gravestones. 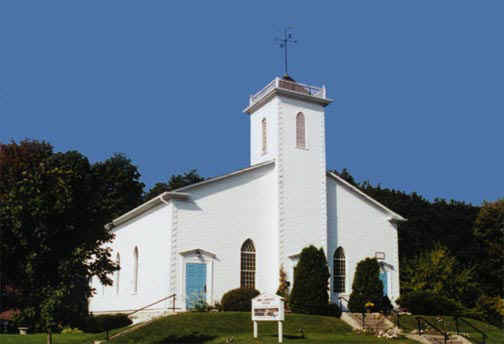 Built c. 1829-30 on Yonge Street, Trinity Church (as it was formerly known) is the oldest church building still in use in the Anglican Diocese of Toronto. In 1950, the church was moved to Brooke Street, southwest of the original location; however, the cemetery remains at the original site on Yonge. Still in active use, Holy Trinity Cemetery contains several graves of historical significance to the Thornhill and Richmond Hill areas, including the grave of Colonel Robert Moodie, killed on Yonge Street near Montgomery’s Tavern during the 1837 Rebellion. This history made me wonder if the five “mystery” crosses occupying a small rectangular plot of land towards the rear of the cemetery were historically significant. Age, weathering, and inappropriate repairs over eighty years had left them in a deteriorated condition; the names and death dates on some were barely visible. I wondered: Why were these graves so different? Who were these men buried in these plots? What was significant about the period 1928-31? Who installed the markers? Why were they not as structurally sound as other markers in the cemetery? I asked about the graves at a cemetery board meeting and was told the men were “prisoners” from the Langstaff Industrial Farm. The farm, which opened in 1913 as an adjunct facility to ease overcrowding at Toronto’s Don Jail, operated as a minimum-security men’s prison for inebriates and petty criminals until it closed in 1958. It occupied a 386-acre property in the present area of Yonge and Highway 7, approximately 5 minutes drive north of Holy Trinity Cemetery. Inmates of Langstaff spent their days “productively” engaging in farm labour; most food for the institution was grown on-site. From 1915 to 1935 a women’s industrial farm operated at Concord under the same management, and men from Langstaff were transported daily to work its fields. I have spoken with a few senior, lifelong residents of Thornhill who recall seeing groups of uniformed men working in the Langstaff farm fields in the 1940s and 1950s. After the farm closed in 1958, a variety of ideas for using this land were proposed; in the 1960s it was a suggested as a site for the Toronto Zoo, but was rejected in favour of the Rouge Valley area of east Scarborough. The area is presently occupied by Highways 7, 407, rail lines, and shopping malls. With my academic interests focussed on Ontario social welfare institutions, I was interested in learning more about these burials, any background information about the men, and how so-called “prisoners” came to be buried in the cemetery. I was a bit skeptical that they were “prisoners,” at least in a criminal sense, since overcrowding was a problem that plagued most municipal and provincial institutions throughout the nineteenth and early twentieth centuries. Inmates/patients with a variety of problems often coexisted in facilities designed to manage specific problems. In 2013, the deteriorated condition of the crosses brought about an opportunity to research the history of these graves. Under the terms of the Funeral, Burial and Cremation Services Act, 2002 (FBCSA) Ontario cemeteries are required to ensure plot markers do not compromise public safety. It became necessary for Holy Trinity to take down the Langstaff crosses markers before they fell, potentially causing injury. The members of the cemetery board wished to replace the crosses for aesthetic, historical, and practical reasons. It did not seem proper to leave them laid flat, for some had double-sided inscriptions (such that the men’s names would be hidden); doing so also seemed to contradict the intended appearance of the monuments. Historical preservation was important since late-twentieth century redevelopment of the Langstaff property had erased all traces of the farm. These crosses were the only remaining physical indicator of the industrial farm’s history. Although it is my understanding that additional plots were purchased for the farm in other local cemeteries, no grave markers exist to indicate their presence. I suspect Holy Trinity Church installed the markers in its cemetery sometime in the 1930s. The initial problem faced by the cemetery board was determining ownership of the plots, since the FBCSA requires permission of the plot owner in order to remove or replace any marker. Who owned these plots? The Langstaff farm was an institution under the jurisdiction of the Province of Ontario, but had been founded and funded largely by the City of Toronto. Even so, it was not clear that either the province or the city was the legal owner. Given that the farm closed more than sixty years ago, we anticipated that it might be challenging to establish ownership. Municipal borders have also changed considerably since the 1950s, with the cemetery now situated in the City of Vaughan. Intrigued, I volunteered to try to solve this historical and legal conundrum. I began by trying to learn more about the men and their relationship to the institution. My first discovery was a November 1930 article in the Globe & Mail about Charles Flowers, one of the names appearing on the crosses. It indicated Flowers was a middle-aged man hit by a streetcar on Yonge Street near the farm; he died en route to hospital in Toronto and his body was sent to the morgue for a coroner’s inquest. The article stated “there was nothing on the man which would lead to his identification” except “a spectacle case found in his pocket, bearing the name ‘Charles Flower’ [sic]”. Since no local person seems to have identified Flowers, it suggested that he was not a Langstaff inmate. Confirmation of this fact would come later in my search. Clues about the status of the other men emerged in documents related to the industrial farm. A 1926 Royal Commission report following an inquiry into Langstaff’s superintendent and mismanagement at the institution identified one problem to be the number of elderly inmates who “were not really prisoners but [were] sent to the gaol farm to give them refuge.” According to the report the men were “committed for vagrancy but in many instances this [was] only a matter of form to get them to the farm.” In other words, these men were homeless without any other means of support. An April 1931 Globe article about the relocation of Langstaff’s “indigent old men” to “proper institutions” confirmed the persistence of this issue into the next decade. Using the information available about the graves from the Holy Trinity burial records (Anglican Diocese of Toronto Archives), I submitted a request to access the inmate files at the Archives of Ontario (currently protected under the Freedom of Information and Protection of Privacy Act). References to admission circumstances, their ages, work history, and state of health led me to conclude that the men on the crosses were from this sector of inmates who had committed no crime other than being infirm and living on the street. They were jailed as a course of last resort when no public housing or sources of welfare support were available. Several of them seem to have been close to death at the time entered the farm. The inmate records contained no references to a “Charles Flowers”. 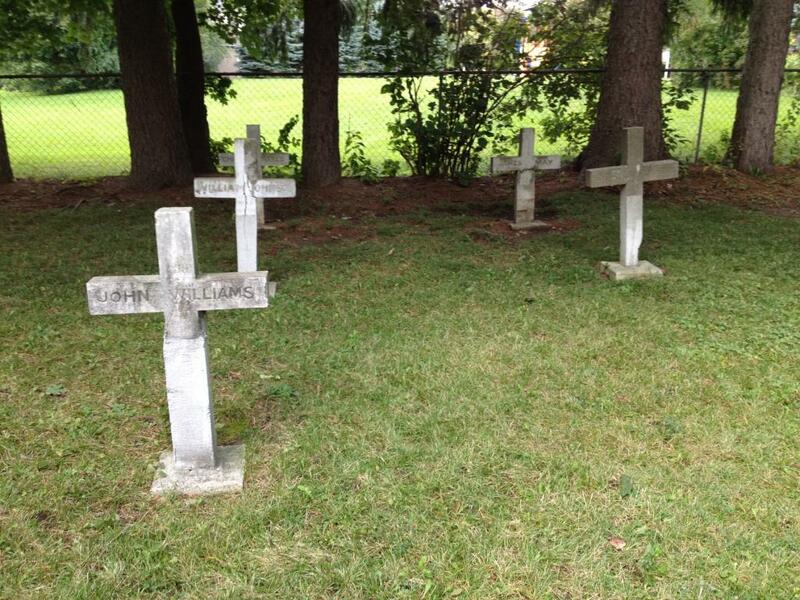 While this absence confirmed Flowers was not a Langstaff inmate, it more importantly indicated that the plots containing these burials and cross markers may have been purchased specifically for Langstaff’s displaced, indigent population. I believe City of Toronto officials decided to bury Flowers in this group of plots near the site of his death since they that had been purchased by the superintendent of the Langstaff Industrial Farm on behalf of the city. The legal issue concerning replacement of the markers was greatly simplified by the indigent status of the men. Consultations with City of Toronto legal and real estate service divisions, and other city cemeteries revealed that in the case of indigent graves, all issues pertaining to plot and marker maintenance are the responsibility of the cemetery management. To this end, Holy Trinity had full freedom to decide the appearance of replacement markers. For advice concerning the appearance of the new markers, I contacted Marjorie Stuart, formerly Cemetery Co-ordinator for Toronto Branch of the Ontario Genealogical Society, and now Cemetery News editor for the Ontario Historical Society. Following her recommendations, the Holy Trinity cemetery board opted to create replicas of the original crosses with the same inscriptions. The only changes to be made on the new crosses – to be installed in the spring of 2015 – are corrections of some death dates, since the archival records revealed errors on the original crosses. A photo record has been taken to preserve the history of the former crosses, which were removed in September 2014. Yet, the indigent status of the men was important in ways that extended beyond the practicalities of marker replacement. No longer were the crosses only memorials of industrial approaches to prison management and the Langstaff farm as a penal institution. The grave markers were now historically significant as representations of the problems of unemployment and inadequate welfare provisions in Toronto during the early twentieth century. After World War I, unemployment had risen sharply with the collapse of wartime industries and the return of thousands of servicemen. It was a problem that would continue to worsen throughout the next two decades: an initial economic depression in 1920-21 brought numerous job losses, which multiplied after the crash of 1929 and the beginnings of the Great Depression. By the 1920s, public employment bureaus could secure employment for only half of registrants, in Toronto leaving 3,000-15,000 men without work. In an era before unemployment insurance or other modern forms of support, social workers observed that many families were slowly starving. As the epidemic of unemployment spread, homelessness abounded. Toronto’s House of Industry – the city’s only “poor house” welfare institution – did not have the resources or space to accommodate all of the city’s homeless residents. Many indigent persons refused to enter the facility due to its reputation for harsh conditions and regimens of demanding, physical labour. By 1925, with no other options available, 16,500 people were housed in city jail cells, many of them unemployed ex-servicemen. Typically, these individuals were charged with vagrancy and given sentences of 3–6 months as a temporary housing measure. Such cases demonstrate how legal loopholes, however flawed, provided short-term solutions to prevailing welfare problems. The elderly were particularly vulnerable once age or poor health rendered them unemployable. Family support systems had declined with the urbanization of the early twentieth century. Geographical distance of kin, the decline of farm inheritance, and poverty all contributed to old age becoming a much more precarious stage of life. Canada’s first old age pension scheme was not introduced until 1927 by the Liberal government of William Lyon Mackenzie King. The abundance of elderly men residing at the Langstaff Industrial Farm by the mid-1920s illustrates how common it was for elderly people to find themselves alone without a home or any source of support. Although not explicitly stated, the government commissioners investigating the farm’s management in the 1920s and 1930s were concerned that the farm was no longer primarily functioning as a prison, but rather as an old age home and rudimentary palliative care facility. Such was the case for the men in Holy Trinity’s plots, for whom old age pensions came too late since Ontario did not participate in the plan until 1929, which was then limited to persons over 70 years of age. Given this social context, the decision to install these concrete crosses in Holy Trinity cemetery may be read as an act of dignity and grace, offering the men respect in death that was not given to them in the last part of their lives. From a present-day perspective, the Langstaff graves are a reminder of the persistence of homelessness and social isolation as cultural problems, and the continuing (and growing) need for support networks for seniors. Reflection on the attempted welfare and pension solutions of the 1920s and 1930 should lead us to ask ourselves what assistance or solutions we might contribute to alleviating this issue. Danielle Terbenche completed a Ph.D. in History at the University of Waterloo in 2011 and recently finished a SSHRC Postdoctoral Fellowship at York University. To mark the church’s 185th anniversary and replacement of the markers, a special service celebrating the cemetery’s history will take place in Holy Trinity Cemetery on Sunday, May 31, 2015 at 1:30pm. 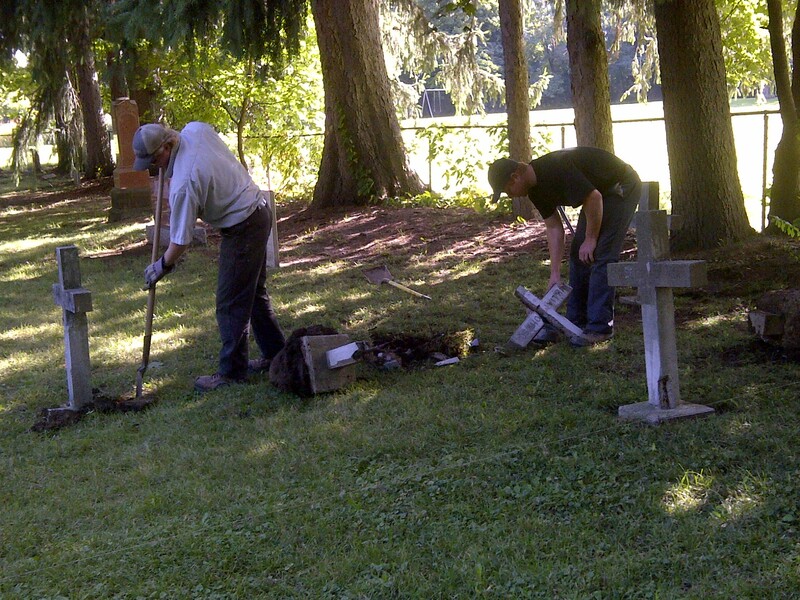 Tours will be given after the service to identify graves of historical significance, including the Langstaff crosses. For further information please see the list of events on the church website. Bryan D. Palmer and Gaetan Heroux, “‘Cracking the Stone’: The Long History of Capitalist Crisis and Toronto’s Dispossessed, 1830-1930”, Labour/Le Travail, 69 (Spring 2012). James Struthers, The Limits of Affluence: Welfare in Ontario, 1920-1970 (Toronto: University of Toronto Press, 1994). This is a fascinating, eye-opening piece — a great example about how the story of a handful of individuals can lead us to a much larger story. The next time I teach about the so-called “roaring twenties” in Canadian history, I’ll have to draw on this piece, to explore the complicated history of social welfare in those years. This is an excellent piece of social history and public history. Aside from Charles Flowers, you do not mention the other men’s names. Is this because your researcher agreement with the Archives of Ontario or FIPPA restrictions? Thanks everyone. Yes, I didn’t mention the other names because of the restrictions of the agreement with the archives and FIPPA restrictions. I would need a new agreement/permit to do more extended research. This makes the history that you have written, which is so empathetic, all the more impressive. What is regrettable about FIPPA and other such privacy regimens is that they can make it more challenging to recover stories such as this one from the past and restore dignity to past historical actors. Surely the goal of refurbishing the men’s graver markers in the first place is to restore dignity in death to them as individuals. Privacy rules, which incidentally are often ahistorical or are applied ahistorically, stand in the way of attempts to recuperate historical actors from the “enormous condescension of posterity,” in a way that makes them resonate with the present, as you’ve done Danielle. It’s high time that privacy and ethics begin to take historical considerations and ethical dimensions of the historian’s craft under advisement. Thank you for a fascinating and important study! Thank you for this excellent and interesting piece. Thanks Danielle. I know all the hard work that went into this. As a child I remember seeing the “prisoners” out in the fields working. Occasionally the area residents would get notice if someone “escaped” from the farm. You also mentioned Concord. My great-aunt was the Matron there for a number of years (first Policewoman in York)- before my time. Keep up the good work. I know how you love it. How fortunate are we, the parishoners at Holy Trinity, Thornhill, to have you and your expertise as an historian in our midst, especially as we celebrate our 185th Anniversary. We, who grew up in Richmond Hill and Thornhill, remember the prison farm and so many other childhood landmarks. I love historic matters and your piece helps keep our past in the forefront; I look forward to more papers written by you. What an excellent post. It reminds me of an odyssey I undertook last winter by chance. I am a member of a charitable group seeking funding and happened by the Sill Foundation website. Many years ago some of the directors had convinced me that saving a near Winnipeg outdoors camp was worthwhile and when we needed it provided assistance. Sure enough it was there, along with 8 to 10 others with our family name. Now here is where it gets interesting. Four of those including my sister iwere in the same section. As a young man my mother born in the Ottawa valley used to say she had a dozen children. At times that number increased to 15 or 16 pregnancies. I shared the story with one of my older brothers and he called it crazy and never purued it after that. But here were not one, but four graves of children who had been born, coincidently, at just the right intervals and buried as far as I could tell very near each. I was intrigued. Sending the list to my 4 remaining siblings and to the the eldest children of the others , I asked if any other of them had any other info to share. Gramma who lived to 97 had spent a lot of time with them, and might have imparted tales. I waited for replies. There is one unusual part to this that made it seem impossible. One of the interred children had my name. Im sure you’ll remember Bob Newharts Darrell and my Brother Darell and other brother Darell. That thought made me hope this was wishful thinking but I was hooked for the “truth” Since retirement I had bacome more involved in my church and choral groups around the city, and mentioned in casual conversation, that I was the youngest of a dozen. Last but not least was the mystery of a silver cup that I had received as an infant. The christening cup had a single word on it Donald A story had been proferred that my dad registered the birth and changed my chosen name from Donald to James. The answers started pouring in. Bob in Ottawa had seen a CBC interview in which my mother proudly told of 12 children. He thought if true the dead siblings would be buried in St Johns Cemetery the oldest Anglican Cemetery in Winnipeg one block away from home on anderson avenue . Jack my youngest brother in Calgary felt it was probably my imagination but to keep ” digging” Karen my neice in Vancouver wrote to say that she had not heard anything and assumed her mother my oldest sister would have been very aware and would have been very interested. My own daughter who spent time playing cards with gramma was adamant that there were at least a dozen. And finally my oldest neice almost my age wrote from Mexico where they live to say she had heard her father a veteran of the WW11 Canadian navy 3 years combat duty North Atlantic and Southhampton to Murmansk. He had talked about seeing a baby in a pail beside the stove and no one was looking after it. One other mentioned that my uncle Jim’s wife mentioned to all of them how many babies my mom kept having and losing. I am also trying to decide on an appropriate marker for the site. Co incidentally on the death certificates, the first three are of Scottish ancestry and the fourth is the first of Irish. But that is a tail for another time of these Ottawa Valley early pioneer Ulster Scot parents of mine. That and the “e” they attached to the surname back in the mid 19th Century. It is a practice I have heard was very prevalent among northern Irish immigrants to Canada at that time. Or how the miks and the Os became Macs . I wonder if that happened in John A MacDs family. It managed to provide my dad with a good Railway job in Winnipeg 8 years before the 1919 General Strike and that and his stories of it are also another topic. As are my moms stories of her family having input in the drafting of the BNA act of 1867. Thank you renewing these memories. This is a fascinating piece of history. I commend you for all the research and time you took in finding out information concerning those 5 old crosses. My late husband, William A. Wylie was Chair of the Holy Trinity Cemetery for a number of years and he and my grandson are buried there. He would have been interested too in your findings. Next time I am in Thornhill I will be sure to visit the cemetery and the 5 replaced crosses. I found this especially interesting to read, as I have been searching for my great grandfather’s grave for a few years now. I have not been able to find when/where he died for the life of me! He was a WW1 veteran, living in Toronto, who had severe shell shock from the battle of Vimy Ridge. Due to his mental illness, he never returned home to his family. The last address I have of him is that of the Toronto Seaton House, homeless shelter for men in the 1930s. It would not surprise me if his fate was similar to the five men you mentioned in this piece – buried somewhere in a poorly marked grave and “missing the radar” of cemetery searches!